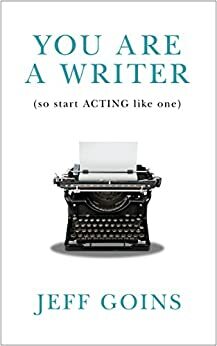 You Are a Writer (So Start Acting Like One) - Kindle edition by Jeff Goins. Reference Kindle eBooks @ Amazon.com. The Easy 9-Step System to Your First Book in 30 Days: The Complete Beginner’s Guide to Become an Authority Author in Weeks! 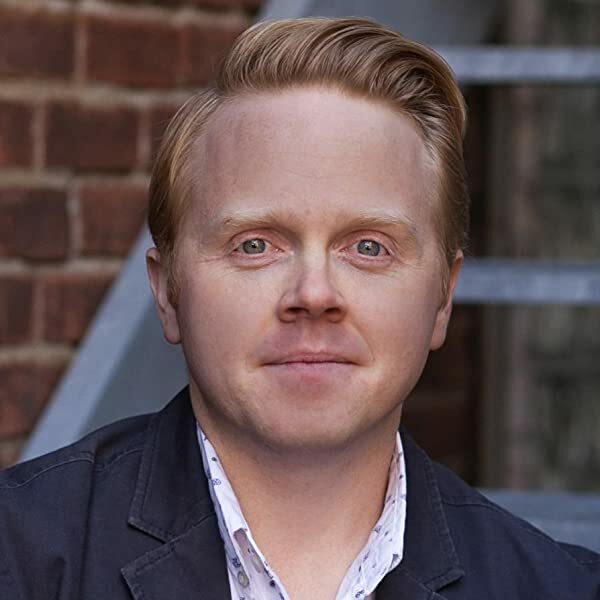 "In You Are a Writer, Jeff Goins shares the truth aboutwriting. He provides the tools and insights you need to build yourplatform, develop an audience, and make meaningful connections. Nowriter should embark on his or her writing journey without reading thisfirst!" "Writers! Read this by Jeff Goins. Seriously. Go." "As an academic who doesn't have a marketing bone in my body, Jeff Goins helped me understand branding for my blog in a new way." "Writers now have the option of building an audience, a brand, andaffecting thousands -- maybe millions -- of people with their words. Jeffis showing you the door. The question is, will you open it and put yourfoot forward?" Hi, my name's Jeff. And I'm a writer. But I didn't always think of myself that way. In fact, for years, I dreamed of one day becoming a writer. But secretly, I was afraid of the risk. It took a gentle but firm rebuke from a friend to realize the dead-end course I was on, to finally understand who I was. After that, I was never the same. One day, a friend asked me about my dream. I said I didn't know. "Really?" he said. "That's too bad -- because I would've thought it was to be a writer." That hit me hard. I told him that was true. I did hope to be a writer. Maybe. Some day. If I was lucky. He shook his head and smiled: "Jeff, you don't have to want to be a writer. You are a writer. You just need to write." So that's what I did, and it changed everything. This is an eBook about a journey of becoming a writer. It's a guide to writing and publishing, including how to navigate the world of platform-building and getting your work noticed. Mostly, it's about believing in yourself. About the process of self-doubt we all go through and the declarations we make to do what were made to do. Whether you realize it or not, you are a writer. You just need to write. I really liked Jeff's book. He hooked me in the beginning with his sage advice that identifying yourself as a writer is absolutely allowed to happen before you get a check in the mail. Once he has built up your confidence, he gets into the meat and potatoes of establishing a peer network, dealing with editors, and handling your own self-doubt, which is often more crippling than negative reviews to the budding author -- heck, probably to a fair number of the seasoned ones as well. What I appreciated just as much as the valuable insight and content of Jeff's work was his conciseness. When you're writing with the goal of your readers' understanding, impressing them with your flowing prose and pretentiously large vocabulary should be much further down, if at all, on your list. I've read many advice books that could have been pamphlets, and were stretched to needless lengths to substantiate them. I understand repetition for the sake of letting new ideas to sink in, but I know drivel when I read it. Fortunately, Jeff practices what he preaches, and gives a clean, concise book of valuable information, that is also fun to read. You can feel him wanting his audience to understand, and most of all, to succeed. A great book for the beginning writer's repertoire. The writer is very honest regarding his opinions and his own path. This does build trust which is important in this type of book. The points found in its pages are all valid. I'm afraid that this book really isn't for those who are trying to find their own path as a writer, unless you have a desire to write for magazines. Yep, I said it. Magazines. There was a lot of information regarding that particular aspect versus the other areas that are listed in the description. I'm afraid that, for the most part, I received all of the information that I needed from the title of the book. I'm a writer and I need to act like it. I need to put in the work and to make writing into something that I do every day, not just when the whim hits. If you're looking for information on how to pitch ideas for magazines, then this could be a useful book to you. If you're looking for something to help guide you a step or three further down your writer's path, then I'd give this one a miss. "You are a writer. You just need to write. "It's time to kill the excuses and start writing. Time to become a writer again. Not a marketer or an entrepreneur. Not a blogger or businessperson. A writer. A real one." This quote is one of the main reasons why I am now going to suggest this book to every writer and wannabe writer I know. Jeff Goins is full of gems like this one. If you want to be published, be a writer. Every day, write down this phrase: "I am a writer." Eventually you will not only believe it, you will be a writer. But I digress. There were only a few things in the book that I won't be able to use. Since I don't write non-fiction (yet) and don't really plan to send articles to magazines, there was one small portion of the book I only skimmed. Otherwise, the rest of the book was full of usable content. The format to the book made it very easy to read. It also wasn't terribly. It did take me about three weeks to read, but mainly because I had a lot to do those three weeks and couldn't be reading all the time. If I had been able to, I probably could have finished it in four hours or less. With a title like, "You Are a Writer (So start ACTING like one)," you would hope the writing quality was good. And it was. I enjoyed reading it and found no typos. As I mentioned above, it took me about three weeks to read, but if I didn't have to put it down, I wouldn't have. Jeff Goins has an engaging writing style that is easy to read. I recommend this book to anyone who wants to be a writer or is a writer. I think it is a must read for all writers, no matter how experienced you are. As Yoda might have said, "Want to be a writer is not. Be a writer is." I agree that becoming a writer means writing first, developing the 'habit' of writing, then applying it and seasoning and tweaking it until the required level of success is achieved. Many potential readers of this book may be hoping for more 'how to' short-cuts, but the moral is, "Just do it". This means the book becomes a filter; it separates the "I wish I was a writer" from the "I am (gonna be) a writer", which, of itself, is an achievement.